On May 18, 2017 the immature male Peregrine Falcon had taken its first flight from its eyrie situated on the steep cliffs of the Salina wall above the Alcantara river. The falcon had been ringed and equipped with a satellite tag by Italian scientists. 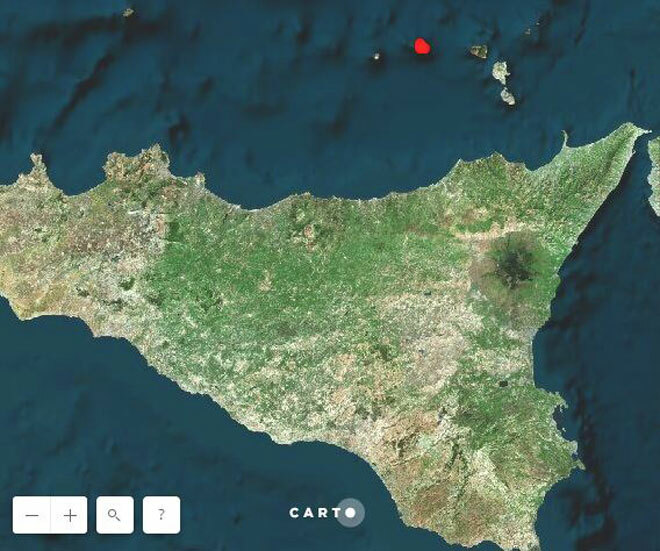 For months after leaving the nest the peregrine’s exploratory long journey were tracked through the Aeolian Islands, before the satellite tag had shown a fixed position on October 23 at Messina on the north eastern tip of Sicily. It was at this point alarm bells began to sound as the signal being received did not record any more movement. The peregrines journey tracked through the Aeolian Islands before moving south east to Messina on the north east tip of Sicily where it was found dead. 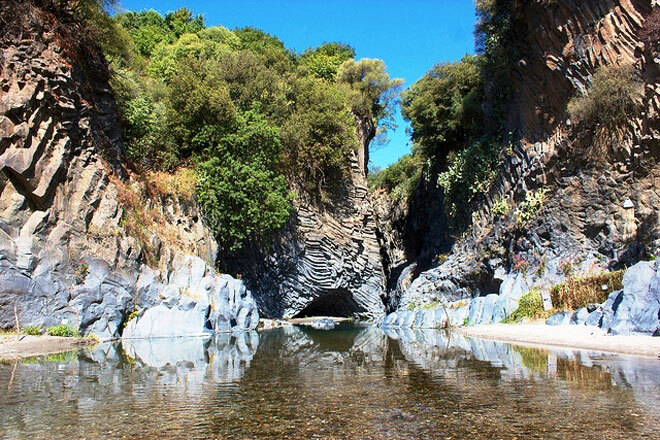 It was with great sadness that on October 28 the buried body of the peregrine was traced to an area within the Regional Park on the river Alcantara, outside of the hunting season. You can see the position where the birds body was recovered in the two images supplied: The corpse when discovered had almost been completely hidden underground, and following an inspection at the site of the falcons corpse there were clear signs proving the peregrine had been shot before it had been buried. Probably it was the rain during previous days that had partially uncovered the body allowing the satellite tag to recharge, enabling scientists to locate the young falcon from the signal. The situation is clear and does not require further analysis to ascertain the cause of his death. After shooting the peregrine, somewhat ignorant of the function of the small appliance that had been mounted on the falcons back, the hunter possibly thought that having buried the falcons body his actions would have gone undetected. Importantly, on this occasion the circumstances shows that even where a satellite tag had been buried, if only partially, the tag was still able to transmit a variable signal to the satellite receiver. “It was (the young peregrine) ringed and tagged by Falcon Conservation in Sicily, to gain information about movement ecology of falcons, during a wide project about “Practical Actions for Preserving the Main European Population of the Lanner Falcon”. The above case, although particularly disconcerting emulates the general situation throughout Sicily, and was not unfortunately an isolated occurrence (Read the article “Straw of rapaci in Sicily” ). From such alarming evidence comes the push to launch this information, with the intent to publish and disseminate news, updates and statistics to quantify the extent of the poaching phenomenon at national level. 2 comments to A recently fledged satellite tagged Italian Peregrine Falcon found buried after being shot. So our Birds of prey in Britain have their satellite tag removed and damaged so no signal can be made after the birds have been shot!! Thanks for help us to share and spread this conservation theme, so few known by people. 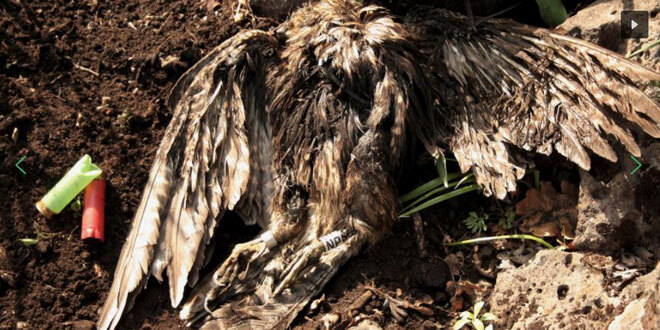 This article is the first of a developing column that we are working out in our website http://www.falconconservation.it, #prayforprey, that try to collect all the illegal shooting events in the Italian territory!